39 Properties Found. Page 1 of 4. The earliest residents at the Plantation were the Yemassee Indians. The first titled owner of what became Rose Hill Plantation, however, was Sir John Colleton, who was given tens of thousands of acres by the king of England. It was later was sold to the Kirk family that grew cotton and indigo in the mid-19th century and built the mansion in 1860. The privately owned Rose Hill Mansion is awe-inspiring, offering stunning views of the river and marshes, and is marked by a magnificent Gothic architectural style. The Mansion is open for tours. Meanwhile, plenty of facinating history was happening on the Island and in Bluffton. Read about it here: Hilton Head Island History, Bluffton History. 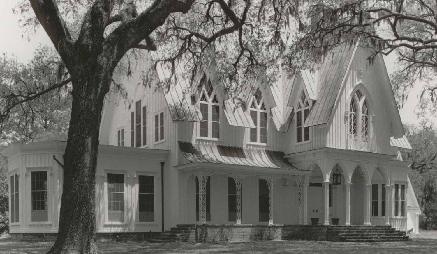 The Rose Hill Plantation Development Company took over the property in 1980, and that launched the modern community with state of the art amenities as it is known today. The community includes more than 960 homes today as well as lots on either side of US 278. The regular 1/3 to ½ acre lots can be found on the Golf Side south of US 278 and the estate size lots in the range of one to five acres are on the Equestrian Side north of US 278. The Equestrian Side of the Plantation is marked by not only the Rose Hill Mansion but also the famed Equestrian Center, which includes a polo field, stables, and paddocks. The horses are kept at the Equestrian Center by their owners, or in barns at their homes. Owners can freely ride their horses on trails that wind through the length and breadth of the Equestrian Side. The Equestrian Center is a unique amenity within the Beaufort County. Other amenities include the Colleton Point area with a ramp for boats, dock, a meeting center, two tennis courts, and a swimming pool. Residents on the Golf Side experience beautiful views that the 18-hole golf course provides. The area is dotted with magnolia trees, and lagoons and ponds, which have turned it into a natural low country heaven where exotic water fowl, deer, and several other Southern flora and fauna abound. The Golf Side is also home to two clay tennis courts and two swimming pools. The community at Rose Hill Plantation is richly diverse, including both families, empty nesters and retirees. If you have questions about specific homes or real estate in general, contact us. We're happy to help you find your dream home.